A high spec, fabulously restored 19th Century, listed barn set on a farm in the delightful Kent Weald. 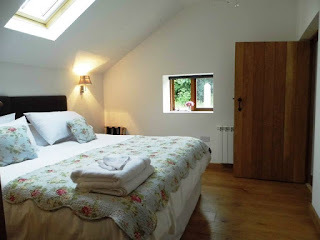 Providing luxury self-catering accommodation for up to 12 guests (14 on occasions). 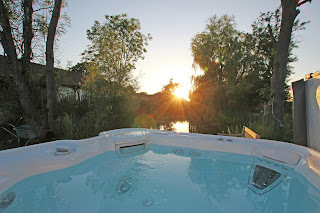 It's perfect for family gatherings, two or three families holidaying together or groups of friends. Our holiday barn is the ideal location for special occasions, sophisticated hens or activity weekends. There are five spacious bedrooms which are all en-suite. All of our beds are either superking/or 3ft singles so nobody has to compromise. We can also help you with a variety of services and extra things to do. Green Farm is set in over 12,500 acres of ancient woodland, much of it within designated Local Wildlife Sites including some designated as 'Sites of Specialist Scientific Interest (SSSI). Rolling farmland spreads down to Romney Marsh and the sea. This is a wonderful area to walk, run or ride bicycles. To find our more about this visit our, Walks, Cycles and Runs Page on our website. There is also an abundance of wildlife around including deer in the woods, nightingales in spring, bats and owls in the evenings. Guests have full access to Green Farm and its 50 acres of meadows, wooded pasture and ancient woodland, almost all within a Local Wildlife Site with its rich diversity of habitats, flora and fauna.